Minimally invasive enucleation is the treatment of choice in symptomatic patients with esophageal leiomyoma. Comprehensive long-term follow-up data are lacking. 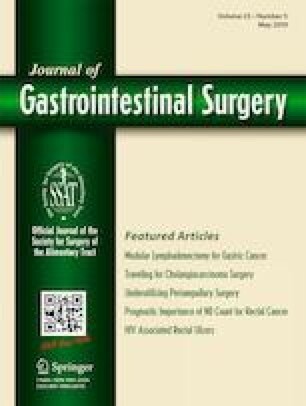 Aim of this study was to review the clinical outcomes of three procedures for enucleation of leiomyoma of the esophagus and esophagogastric junction. A single institution retrospective review was performed using a prospectively collected research database and individual medical records. Demographics, presenting symptoms, use of proton-pump inhibitors (PPI), tumor location and size, treatment modalities, and subjective and objective clinical outcomes were recorded. Barium swallow and upper gastrointestinal endoscopy were routinely performed during the follow-up. Gastroesophageal Reflux Disease-Health Related Quality of Life (GERD-HRQL) and Short-Form 36 questionnaires were used to compare quality of life before and after treatment. Between 2002 and 2017, 35 patients underwent minimally invasive leiomyoma enucleation through thoracoscopy (n = 15), laparoscopy (n = 15), and endoscopy (n = 5). The overall morbidity rate was 14.3% and there was no mortality. All patients had a minimum of 1-year follow-up. The median follow-up was 49 (IQR 54) months, and there were no recurrences of leiomyoma. At the latest follow-up, the SF-36 scores were unchanged compared to baseline. However, there was a higher incidence of reflux symptoms (p < 0.050) and PPI use (p < 0.050) after endoscopic treatment. Minimally invasive enucleation is safe and effective and can be performed by a variety of approaches according to leiomyoma location and morphology. Overall, health-related quality of life outcomes of each procedure appear satisfactory, but PPI dependence was greater in the endoscopic group. -Agreement to be accountable for all aspects of the work in ensuring that questions related to the accuracy or integrity of any part of the work are appropriately investigated and resolved.